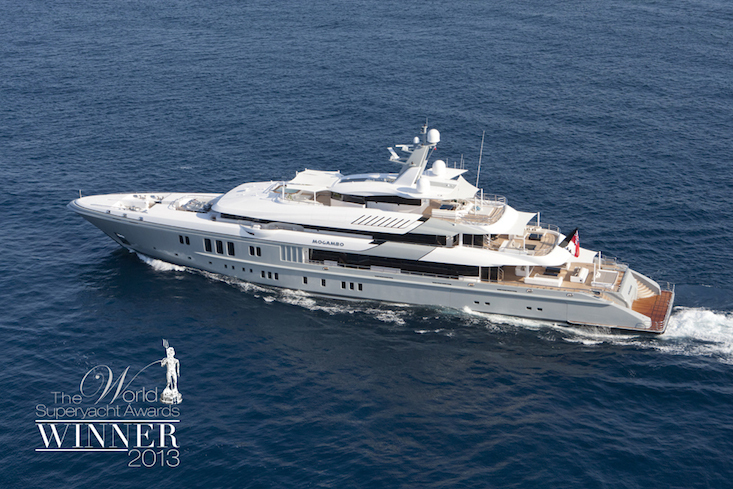 In yachting size really does matter, and taking up the “Quai du Large” this year is MOGAMBO. An award-winning design from Nobiskrug, she has a simple yet truly effective exterior with mysterious grey hull and huge windows flooding the interior with light. The sleek exterior almost disguises the fact that MOGAMBO is of colossal size, weighing in at an impressive 73.55 metres. 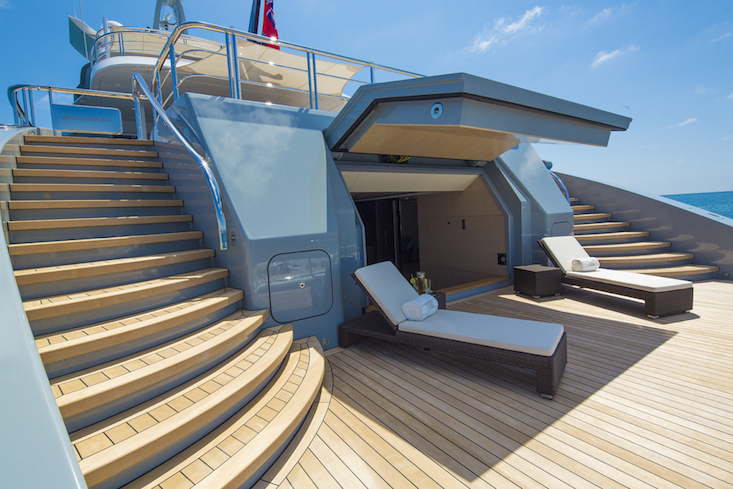 Comprising of three decks of contemporary opulence, this luxury super yacht offers everything from a beach club to a hair salon and meeting spaces to saunas. Impressed? 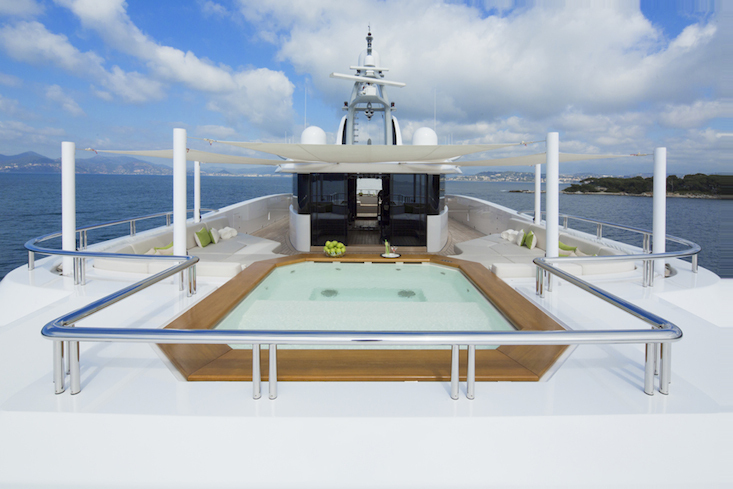 MOGAMBO’s price tag is €600,000 per week, with a minimum charter period of 10 days. In a world where tradition is everything, with white and blue being the norm, standing out is key. For Roberto Cavalli, standing out comes in the form of a beautifully painted pearlescent hull. From some angles the 40 metre Baglietto super yacht glows in a stunning teal, but see her in port and she’s a striking purple. Self-named RC isn’t on the charter market so we cannot confirm the interior but from the social media snaps of celebrities such as Made in Chelsea’s Mark-Francis Vandelli we see multiple animals prints and extravagant patterns. What else would you expect from such a famed designer? For yachts charters for French Riviera events or holidays in and around Cannes contact our team of local experts today.